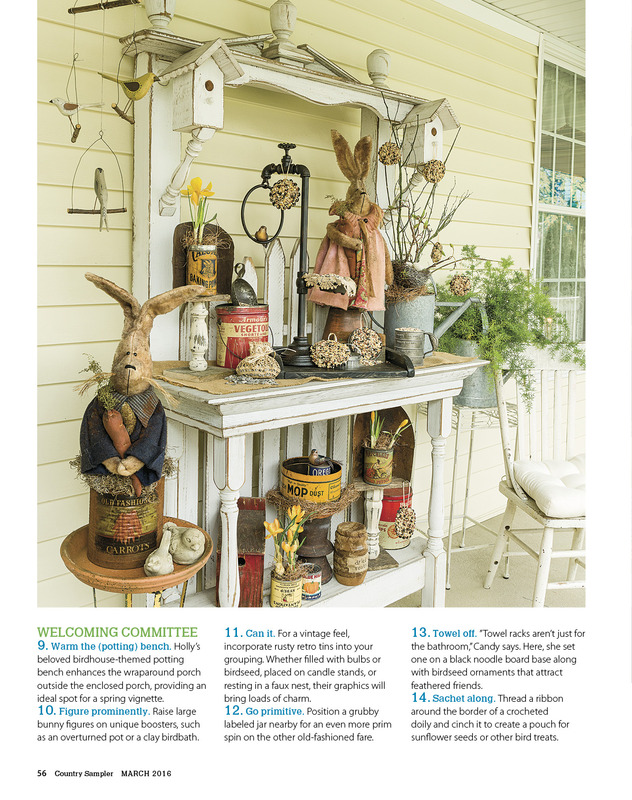 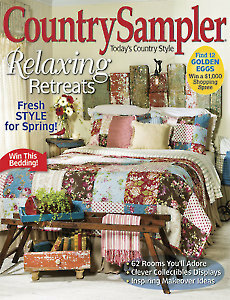 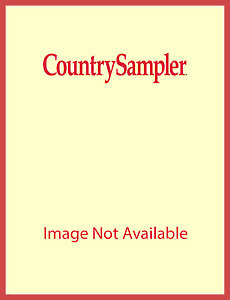 Refresh your home both inside and out with the bright ideas in this spring issue of Country Sampler. 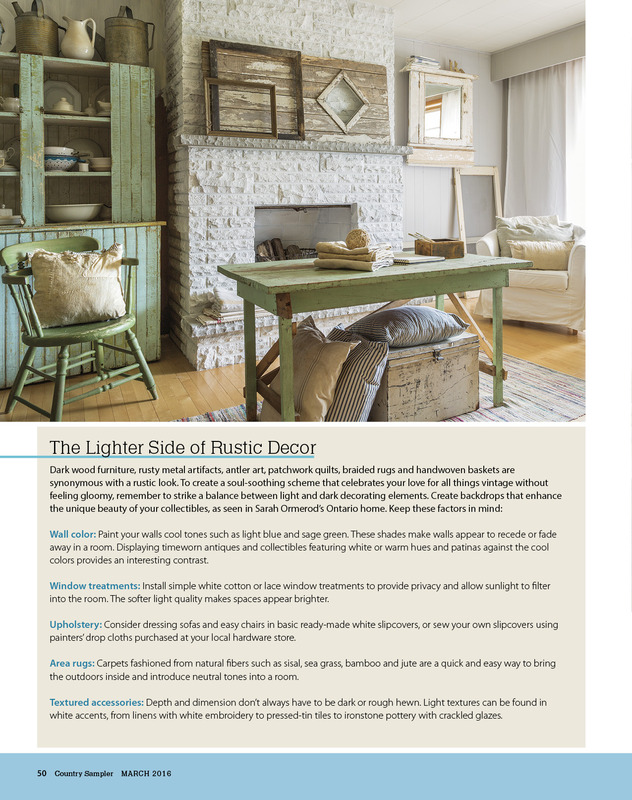 Visit four inspiring country homes, including an 1800s stone farmhouse, a carefully restored Colonial, an artist’s primitive haven and a blogger’s DIY-filled home. 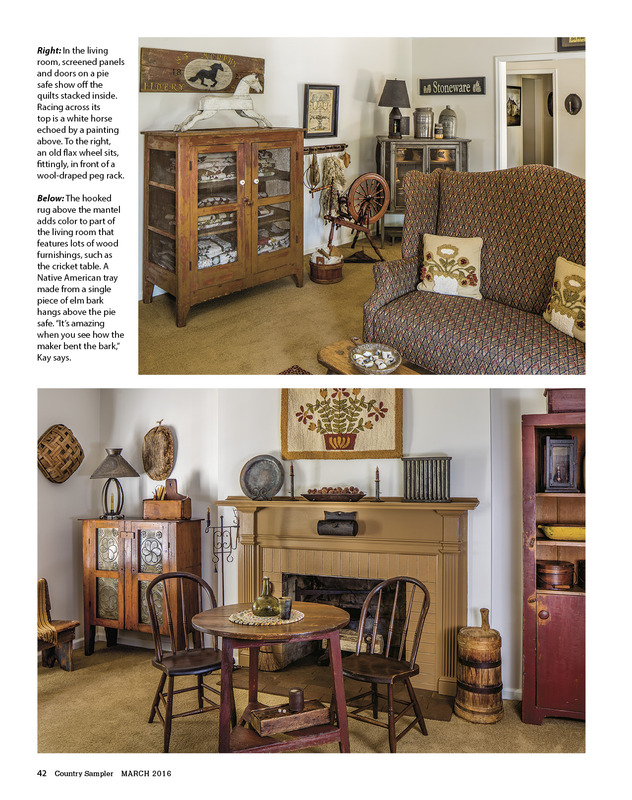 Find out how you can display everything from kitchenware to antique tools in our special excerpt from Collected: Living with the Things You Love. 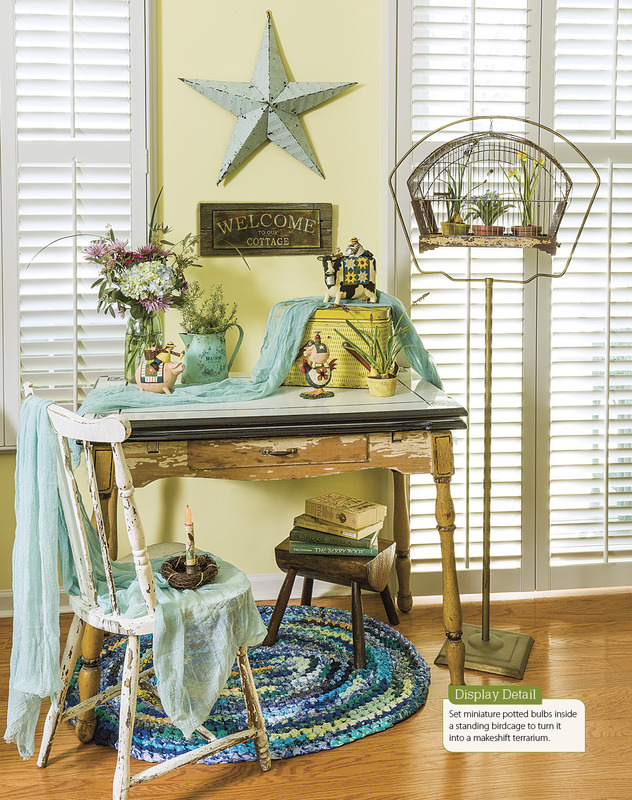 Discover 20 simple ways to add cheerful spring style to your rooms.